Welcome to the Watertown Police Store! 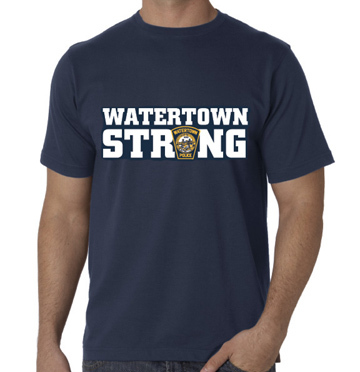 Now you can show your appreciation for the men and women of the Watertown Police Department for everything they do, but particularly for what they did to help apprehend the two Marathon bombing suspects. Profits from your purchase of this commemorative T-shirt will go to the Watertown Police Foundation, to provide broad support for the public safety mission of the police, including suicide counseling, training and support services to deal with extraordinary stresses of the job such as those experienced recently. All of America watched as they kept us safe. Their courage made us proud. 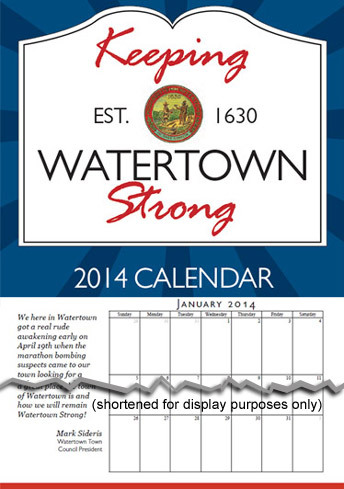 Help us to honor them with a "Watertown Police Strong" T-shirt or Calendar!